Pedal To The Metal is an absolutely showstopping horse with great movement and the ultimate show horse attitude. He is a son of the live show winner DS Modena, who sired many winning offspring including a few NAN Qualified horses. 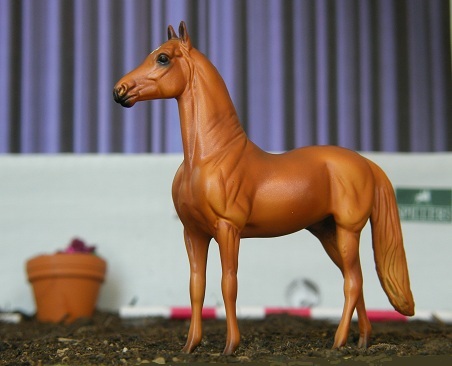 DS Modena is by the multi live and photoshow winner Connoiseur, whose lines trace back to the real horses Moro Hills Mequon and Black River Dandy. DS Modena was out of the great producer Riverview Perfect Lily, whose lines trace back to the real Morgan horses Lippit Ashmore and Silverhawk. Pedal To The Metal is out of the great little mare Lost Horizon, dam of many NAN Qualified offspring and even a NAN Top Ten! She is by Sunset's Shadow and out of Epic, and she is model bred for 2 generations on her sire's side, and for 3 on her dam's side. Her dam tail line is model bred for more than 5 generations! Ultimately, Pedal To The Metal is a great choice to breed your future show Morgans with. His strong pedigree is backed up not only by his great looks, but also by his performances. 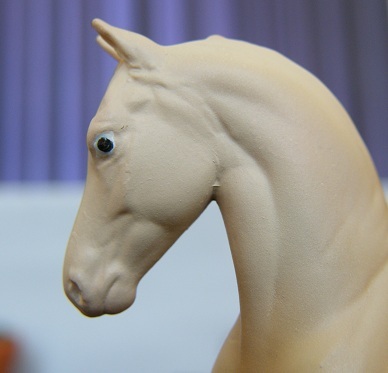 Available for breeding 1999 - present, to all Morgan and Arabian mares. Other breeds considered upon request. More info and pedigree coming soon. Johnny Be Good is a beautifully bred Morgan. 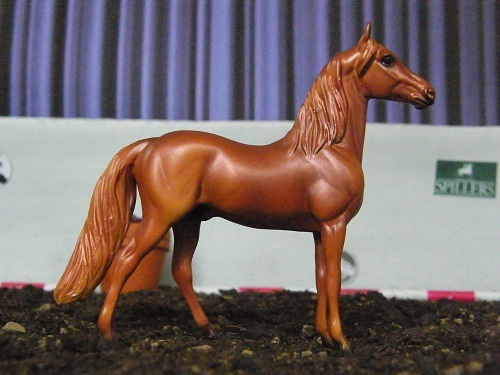 His sire, Wild Hare, is part of the Caballos Del Mare Morgan breeding program. 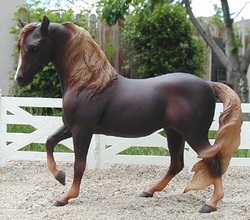 He is by Westridge Ashly Moro, a pure Lippit Morgan stallion. He is by the great sire Stillwater Indigo, who sired 99 registered purebred Morgan foals. He carries many lines to Ashbrook and Moro, who were both founding sires of the Lippitt line. Wild Hare is out of Triton Suzanna, a granddaughter of the very good sire Pecos. On her dam's side, Triton Suzanna's grandsire is the amazing sire Kingston, who sired 298 purebred Morgan offspring! Wild Hare's lines also include Bennington and Mansfield. Johnny Be Good was out of the IMEHA Premier Champion, CDM Liberty. She achieved 2 ROMS with AMMHA and OFCC, a great showrecord! She is by UVM Promise, the 4 times World Champion Stallion. He sired 204 purebred progeny. He is by UVM Highlight, whose lines include Ulendon and Panfield. CDM Liberty is out of CDM Luann, a daughter of the Halter and Park Champion, Waseeka Peter Piper, and out of Royal Caprice B. Her lines go to Waseeka's Nocturne, Cornwallis and The Admiral. Johnny Be Good is a very nice blend of Government and Lippitt lines. 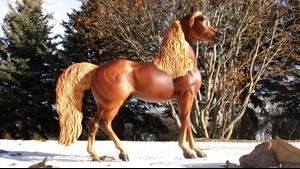 A fantastic showstallion with a lot of western pleasure potential. He is a perfect sire if you are looking to breed a versatile, pure Morgan. Available 2007 - present, to all Morgan and Arabian mares. Other breeds considered upon request. First Defence is one of the very few silver bay Morgans alive today. He received the gene through his dam CDM Paradigm, who inherited it from her dam, Pegasus Prevail. The silver dapple gene was first introduced in the Morgan breed by a stallion named Dan, to which all currently known silver bay Morgans trace. The most prominent silver dapple line is that of Topside Jolly Roger, which comes down through his sire Pegasus Persuader. CDM Paradigm's lines also include Mentor and Kings-Haven Senator. First Defence is by the beautiful bay stallion CDM Defender, who carries a lot of old Government lines over Lippitt lines. His lines include Lippitt Mandate, Townshend Gaymeade, Kingston and Mentor. First Defence carries lovely old lines with a dash of colour. 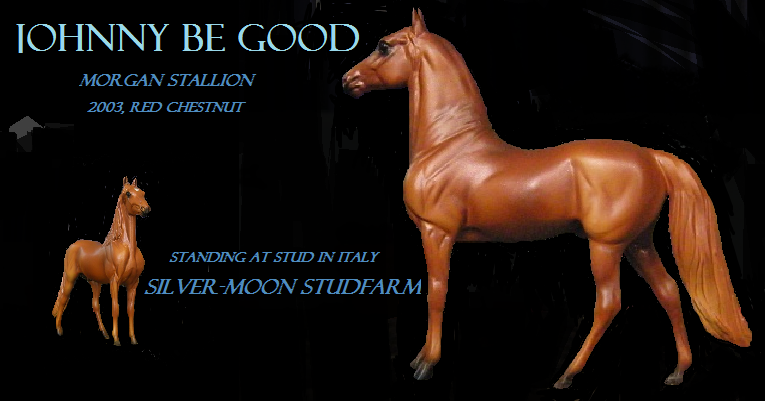 Definitely a stallion who is an asset in any horse's pedigree. Available for breeding 2009 - present, to all Morgan mares. Other breeds considered upon request. IMEHA 2013-14: Holds 1115+ IMEHA points in Halter, IMEHA Superior Champion in Halter, Holds 140+ IMEHA points in Headstudy. Snow White's Prince is one of our lucky purchases. He is a gorgeous cremello sabino splash overo Morgan - definitely a color you will not find often in the breed! He inherited one cream gene and the sabino and splash genes from his sire, and another cream gene from his dam. As he only carries one copy of the splash overo gene, it does not show in his actual color. 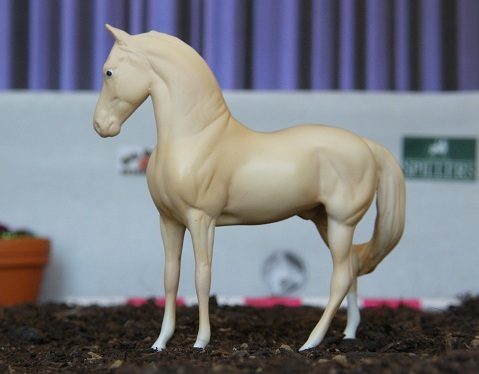 To breed a splash colored foal from him, you will have to breed Show White's Prince to a splash mare. Snow White's Prince is by MEMC Crown Royal, a buckskin sabino/splash Morgan stallion. He is a son of Robbi Sues Mr Alert, a very good dressage stallion. MEMC Crown Royal was out of the great broodmare King Blaze Mint, who carried both sabino and splash, and passed it on to her son Crown Royal. Show White's Prince has Orcland Vigildon, who is a probably source of splash, on his sireline in the 5th generation. Further lines, on MEMC Crown Royal's side of the pedigree, include Emerald Cochise, Upwey Ben Don, Beamington and multiple lines to Flyhawk. Snow White's Prince's dam is Rosehollow Rainbow's End, a palomino mare by Nashboro Sir Gallahad, whose lines go to Morgan Gold, Keystone and Redman. Rosehollow Rainbow's End was out of Rosehollow Chantilly, a granddaughter of Beamington and Broadway Charlie. A lot of Show White's Prince's lines trace to Lippitt horses, which are considered the purest Morgans. He does not carry Waseeka's Nocturne, so he is a good outcross stallion. On top of great quality bloodlines, Snow White's Prince has amazing color and presence. He has a beautiful classic head and very nice overall conformation. 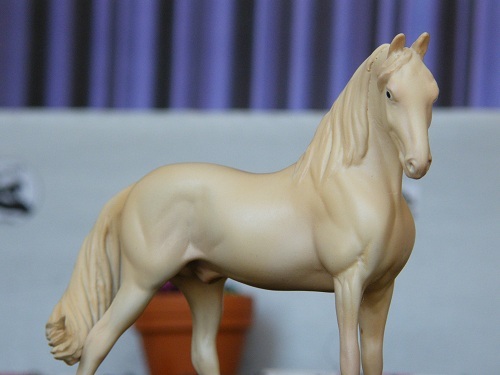 Show White's Prince is the stallion for you if you're looking to breed colored foals with quality bloodlines. 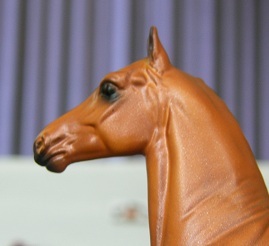 Available for breeding 2010 - present, to all Morgan and Arabian mares. Other breeds considered upon request. 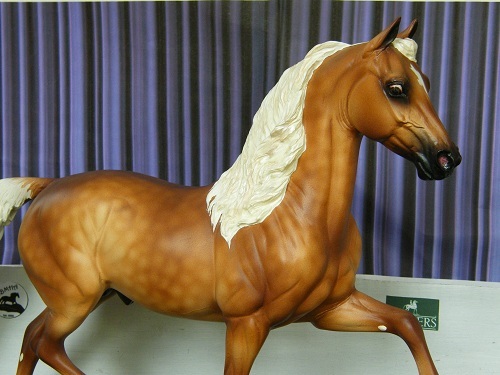 Universal Covenant is a gorgeous dark palomino Morgan stallion. He is bred for color, so you can expect some flashy palomino offspring from him! Universal Covenant is by PS Across The Universe, a beautiful rare cremello stallion owned by Pinetree Stables in Holland. 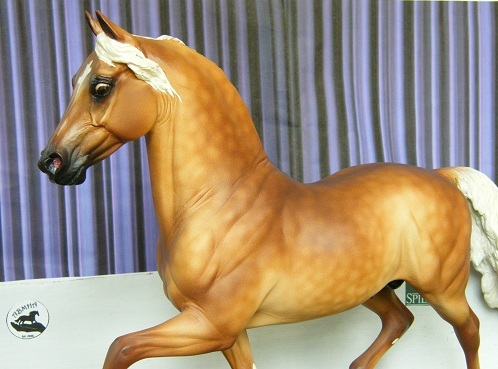 He is a very versatile stallion with championships won in both Western and English disciplines. Under sidesaddle he achieved the IMEHA title Division Champion! Across The Universe is by SFG Infinity And Beyond, a cremello son of the fantastic sire MEMC Tinseltown. 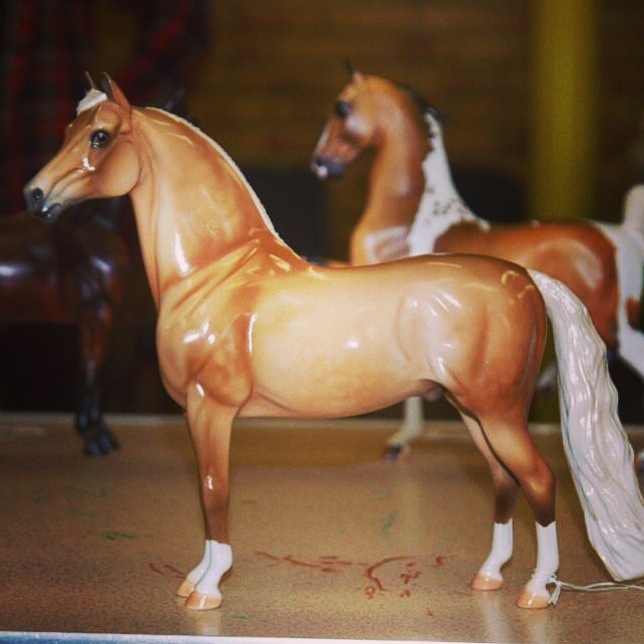 Tinseltown has made a name for himself producing some of the breed's finest cremello and palomino showhorses and breeding stock. His sons and daughters are top notch quality and used by Morgan breeders all over the world. PS Across The Universe's dam is the palomino mare Golden Acres Precious Lady, a granddaughter of the Park Champion stallion Serenity Flight Time. He was noted to be an excellent broodmare sire and sired 119 purebred registered foals. On PS Across The Universe's side of the pedigree, lines trace to Vigilmarch, Dapper Dan, Mansfield, Merry Knox and Flyhawk. Universal Covenant is out of the pure Lippitt Morgan mare Covenant Amelia Moro, a granddaughter of the very good sire Meredith Knight, who carries double lines to Lippitt Ashmore. Covenant Amelia Moro carries lines to Ashbrook, Moro, Sherman Morgan and Ethan Allen 2nd (aka Ethan Allen II). Universal Covenant is a beautiful mix of the Lippitt lines with modern lines. He is of great conformation and has a soft temperament. 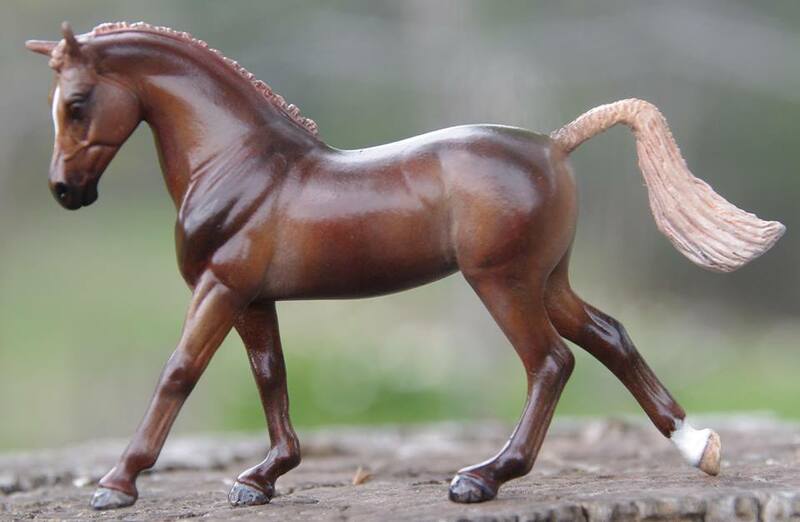 He is very elegant with a refined head and nice long paces; a very smooth ride. Universal Covenant is the perfect sire for you if you are looking to breed a foal with color and flair, who is great for both performance and halter.